In 1994 three French speleologists discovered a cave hidden behind an old rockslide in southern France. Inside they found a particularly beautiful cave with rock paintings eventually dated to 32 000 years before the present. They are the oldest known cave paintings, preserved so well because of the rockslide protecting what was once an open cave from the elements, animals and humans. It is called Chauvet-Pont-d’Arc Cave after one of its discoverers, Jean-Marie Chauvet, and a natural rock arch nearby. Cave of Forgotten Dreams has all the hallmarks of a Werner Herzog documentary – the voiceover and awkward interviews – except that this is a 3D film. The cave is closed to the public and Herzog received special permission from the French Ministry of Culture to enter the cave and make the documentary. There were heavy restrictions however. Herzog was only allowed a four-person crew including himself, small battery powered lights, they were not allowed to leave the narrow path built through the cave and had a very limited period to film. Add to these obstacles the fact that Herzog doesn’t like 3D and, justly, believed it to be ‘a gimmick of the commercial cinema’. He ended up choosing the technology as the best way to represent the contours of the cave paintings, as the artists incorporated the cave’s lines into their work. Unfortunately for Herzog and the cinematographer Peter Zeitlinger, 3D technology was undeveloped in documentary films and the crew had to experiment along the way. It was worth it. In a theatre with 3D really is the only way to experience this film, and the caves. It’s a spectacular experience that encourages a feel for the depth of the cave and textures of the paintings. There are long sequences where the camera lingers, panning across the rock walls and capturing the flickering light on the impressive paintings. Herzog positions the scientists he interviews as almost an important a part of the story as the cave paintings themselves. Personal detail is what gives the history character, whether it be a young French scientist who admits to Herzog he was in the circus before being drawn to archaeology or hand prints throughout the cave that are identified as being by the same cave artist because one of their fingers is unusually short. 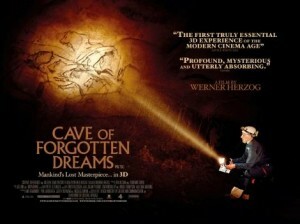 This is the soul of Herzog’s film and relates to what he is trying to convey about the cave paintings. He sees these paintings as the birth of art, or at least the first known evidence for art. In the Upper Palaeolithic age Neanderthals and Homo sapiens were knocking about at the same time. There is no evidence of Neanderthals making art and Herzog suggests that our creation of art was the birth of our soul. Herzog does his best to evoke the spirit of the painters by exploring the music they made on flutes carved from bone and how they hunted as well as with the haunting soundtrack. Cave of Forgotten Dreams is a sensual film with the music and smell of the Upper Palaeolithic time nearly as important as the visual art. But in his always omen sprinkled voiceover Herzog suggests that the ‘abyss’ of time between the creation of the art and our era means we may never know the artists’ intention. One scientist interviewed discusses how humans likely thought about the world in a completely different way, where the natural environment could impart information and there was no line between human and nature. Herzog contrasts this romantic idea with an incredible and frightening postscript that I don’t want to give away except to say: albino crocodiles in a scene reminiscent of the iguanas in Herzog’s 2009 film Bad Lieutenant: Port of Call New Orleans. The Chauvet Cave continues to be closed for preservation and this film may be the only way the general public will have to experience it’s profound beauty. It raises the interesting question of whether it is better to preserve the site by not allowing anyone to see it or to open it up for all but slowly and inevitably destroy the cave. As Herzog mentions in the film, the French government are discussing responding to this dilemma by building an exact model of the cave as a theme park. 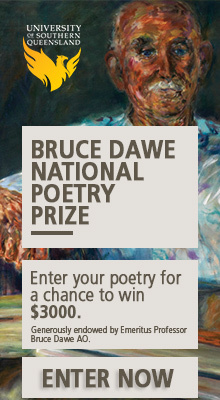 Peter Francis is a student at UTS undertaking a Communications degree and majoring in Writing and Cultural Studies. This in no way prepares him for life outside university. I actually have some archaelogical books stashed somewhere in my attic in packing boxes that sounds vaguely familiar as this film. It’s always so interesting to read about new finds and I’m glad I’ll have the chance to see a find in 3D now too!